Start for free, change when you need. Probax offers highly-scalable solutions for businesses of any size. Honeycomb Cloud Tapes are available for low cost, long term storage in select locations. Contact us for more info. All quoted prices exclude sales tax (GST/VAT). Probax allows you to trial the full-featured service for 7 days. Following the end of the 7 day period, your account will be suspended. You will have the option to extend the trial for a further 7 days if you need more time. Resellers engage with Probax either on a month-to-month commitment (Flex plan), or on 12 month terms to enjoy greater savings on c/GB. How will Probax save me money? Imagine for a moment, that you’re a small MSP with 50 clients on managed service contracts. Backup is a part of every customers agreement, and the SLA says that backups will occur nightly, and be checked on a daily basis. Now imagine that you’re running anything up to 100 different backup sets, because most clients have separate email, file and database backups. Now, let’s get even more complex: You’re running different types of backups because some clients have physical machines, some are virtual (some are hybrid! ), some only want to do select files and folders and others want entire server volumes backed up. Trawling through individual reports for every client is going to take a long time. Sure, after some practice you can probably get through it reasonably quickly, if there are no unusual errors. Probax can handle all of the above scenarios, and present the vital stats from your backups in a single, easy to use reporting window (or an email!) How much time would you save by having at-a-glance access to the health of all your backups, no matter whether they are ShadowProtect, Veeam, NAS sync or file backups? Probax will save your technicians time spent managing backups, depending on the size of your business it could be hundreds or even thousands of wage-hours per year. Probax is more cost effective to deploy that running your own hardware. You save money on power, networking, rack space, physical equipment and man hours. How long until my new account becomes active? Opening a trial account or upgrading to a new partner tier happens immediately. The provisioning of third-party software keys for ShadowProtect may take up to 24 hours. I have a new customer, can you help with the setup and transition? What support does Probax offer to help me sell this Service to clients? We’ll draft industry-specific communication pieces for key verticals and your major clients who can benefit from using Probax. These include co-branded product collateral, EDM content and templates, blog articles, social media graphics and posts along with website content. We will happily meet with your clients or hold a phone call to educate them on the benefits of managing cloud backups with Probax. Our pricing model is extremely simple, benefiting our reseller partners, and ultimately the end users. Probax Resellers pay a flat monthly fee for a given volume of storage, with no hidden fees or complex billing schedules. We also offer Veeam rental licenses at lower cost than you will find at other Veeam Cloud Service Providers and Aggregators. Contact us to get the latest pricing information! Can payment be made via invoice? Payment by invoice is only available to our Gold, Platinum and Black partners. Contact us to make the change. What is the minimum storage required? You can provision a storage quota as low as 100 GB. The next tier is 250 GB, then 500 GB, 750 GB and 1 TB and upwards. Do I have to buy storage 'per client'? No, Probax is a true multi-tenant solution. You pay for your required amount of storage, pooled across your customers, and create as many end user accounts as you need. Can I increase or reduce my storage? Increasing your storage capacity is easy, and automatic – your Probax account will grow to meet your storage requirements, and the new volume will be reflected in your next monthly invoice. Reductions in capacity can be done at any time within the Control console. We have our own cloud infrastructure in Perth, Melbourne, Sydney, New Jersey, London and Johannesburg. Can I get support after hours? Yes, we have technicians on call 24/7/365 for emergencies only. You will need to call 1300 885 117 (AUS) or +1 (888) 8-PROBAX (US), and follow the menu prompts for emergency support. What is the difference between Hyperformance and Honeycomb VTL storage? 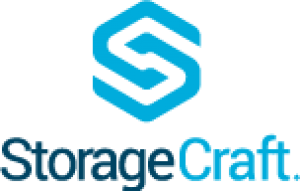 Not to be confused with ordinary cloud storage – our Hyperformance storage is incredibly fast, and actively monitors, verifies and reports on your Veeam®, Shadowprotect® and File backups. Our storage nodes across Perth, Melbourne, Sydney, South Africa and North America process incremental change across more than 150 Petabytes worth of cloud backups every single day. Honeycomb VTL storage remains a cost-effective archive solution by sacrificing the speed and built-in intelligence of Probax Hyperformance for those with hundreds of terabytes to store and preserve. At a low cost per gigabyte, you get massively scalable storage, housed in local Data Centres. Companies that might otherwise consider big data storage solutions like Amazon Glacier or Microsoft Azure will find the Probax value proposition appealing. Probax can refer you to a Partner to suit your needs. Contact us to discuss your requirements, and we'll point you in the right direction.